This blog post is written in the style of a diary entry by athletic trainer Bobby Daigle. 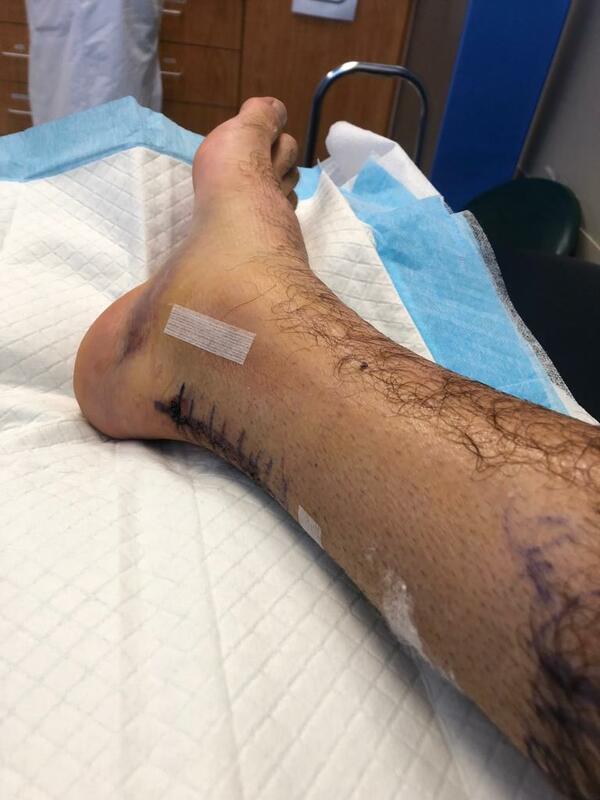 Bobby, a certified and licenced Athletic Trainer in the USA, recently ruputured his achilled tendon. Over a series of posts, Bobby will take you through his injury journey back to full functioning fitness. completed my undergraduate studies at Central College where I received my degree and certification as an athletic trainer. I graduated in May of 2013. I then went on to South Dakota State University, where I worked as an Athletic Trainer for the baseball team. While there I receiving a masters degree in Exercise Science. I was at SDSU for 3 years. Following this I worked at Cornell College for a year with the mens soccer team, the indoor track teams, and both the mens and womens lacrosse. 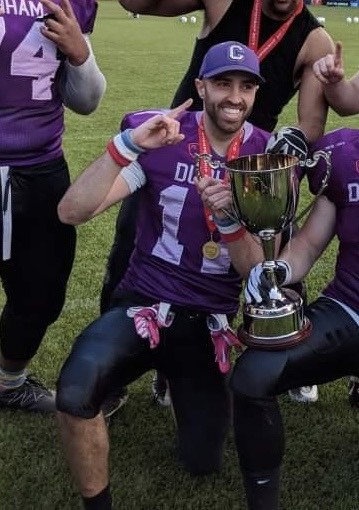 In 2018 I chose to study Education abroad at Durham University, where I played American Football with the Durham Saints. I had previously played football at Central college as a wide reciever, but at Durham i played various positions on D and O.
I am now an athletic trainer at Bates College in the US where I work with the womens soccer, womens basketball, baseball, and softball teams. Just over a week ago while performing an exercise I was going to ask one of my athletes perform later in the day I tore my achilles. I was doing a bound to bound to sprint exercise to work on explosive movement. I had experienced a feeling of tightness in the calves and achilles earlier that morning but did not think too much of it right away (since I am 28 and a former athlete, being tight is pretty normal for me when starting any workout). Yet, following my warm up I never quite loosened up. And so, in my head I had I decided that the rep on which I got hurt was going to be my last rep of the day. Naturally that is when my achilles popped – typical! I went into the first bound and heard the pop first. It sounded like a muffled gun shot, but then I felt the pop. After feeling the pop I instantly dropped to the ground – my foot did not want to work properly. It was painful, but far from the worst pain I felt while participating in sports. Yet the feeling was indescribably weird and different. Aside from knowing the signs that lead to achilles tears as an athletic trainer, just knowing the feeling in my body, I knew instantly that I had torn my achilles. I proceeded to hobble down the hall into our athletic training room where I got myself into a tall walking boot. Once I was in the boot I called our teams foot and ankle specialist and thankfully got an appointment to see him later that day. The appointment was quick, the tear was so obvious, that an MRI was not scheduled and we set up a date for surgery. I injured myself on March 28th and had the surgery April 4th. The week prior to surgery I was able to move in the boot just fine so I still managed to work at the College up until my surgery. My surgery was performed at 1:30 pm on the 4th of April and it went off without a hitch. So well, that I was released from the hospital by 4 pm that day. 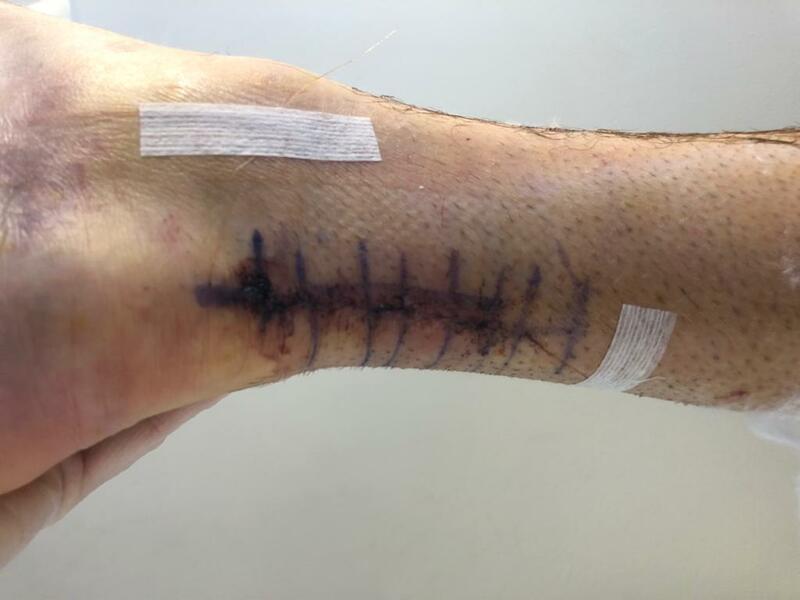 The surgeon had sutured above and below the tear and brought the tendon closer together. 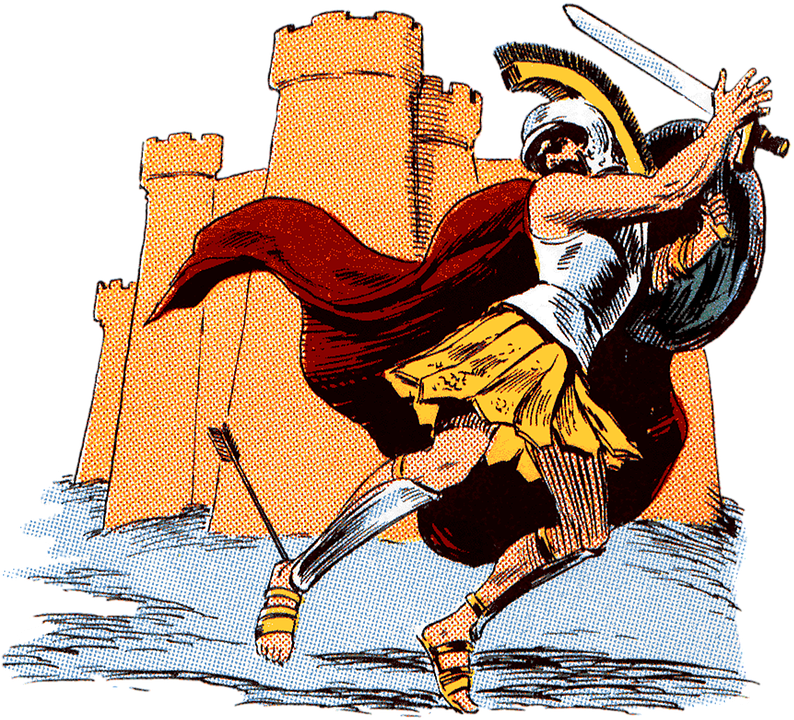 He had used the plantaris longus tendon (which some people don’t have making it an unnecessary tendon) as reinforcement for the newly sutured achilles tendon. I am currently placed in a half cast splint that I can take off if I need to, to allow for the surgical site to heal up properly and get some air when need be. I will be in this half cast for two weeks until the surgical site has healed and I am to be non-weightbearing for 4 weeks post-surgery. The first afternoon I was not in much pain. Probably because I was given oxycodone after the surgery to help with the pain. Luckily the drug did not affect me in a negative manner and I was completely lucid afterwards. The first night I had low levels of pain while sleeping which caused me to toss and turn a bit, but nothing terrible. I am now on day two post-surgery and feeling pretty good. On a scale of 0-10 my pain is at a 1 – very low. My scooter should be here later this day allowing me to be more mobile than with simply the crutches. I’m also managing to keep my nutrition on track pretty well. It helps that two days prior to the surgery I meal-prepped almost a weeks worth of food that I can microwave and so eliminating the need to cook while I am on crutches. On Monday I will be going back to work but doing more clinical and administrative work rather than field work. I’ll keep you updated with how I get on! I was lucky to meet Bobby in 2018 at Durham University. Sharing a passion for American Football and sports medicine, we have stayed in contact. Thanks to Bobby for sharing his journey returnting from injury.